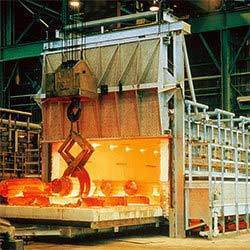 We are the leading manufacturer, exporter, trader and importer of the Oil Fired Furnace. 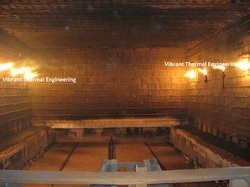 We are the Leading Manufacturer and Exporter of Oil Fired Furnace from Chennai, India. Fabricated from the finest quality raw material and advance manufacturing process, these furnaces are developed as per the defined criterion laid by our clients. Used for industrial as well as commercial purposes, our offered products are available in different sizes, shapes and designs as per the requirements of our clients spanning all across the nation. Owing to our countable experience of the industry, we have been able to manufacture supply and export a range of Oil Fired Furnace. Congruent with industry laid guidelines, these furnaces are available in various specifications and also in customized range to meet the specific needs of the customers. Our team make use of advanced machines and high grade material procured from the reliable vendors of the market in manufacturing them.